Hughes was born in Joplin, Missouri on February 1st, 1902. His family life was not easy. While he was still a young child, his parents divorced. After his father had moved away to Mexico, the young Hughes was mostly looked after by his grandmother. However, in his early teens he went to live with his mother in Lincoln, Illinois. She had by this time remarried, and the family moved on to Cleveland, Ohio a few years later. During his time in Lincoln, Hughes had discovered a talent for poetry, and he remained in love with the art form all his life. After he had graduated high school, Hughes went to Mexico for a year, before returning to the United States and spending a year at Columbia University. To maintain himself he took a number of menial jobs. He worked as a busboy, a launderer, and even an assistant cook. He also spent some time as a seaman, and in this capacity he visited Europe and Africa. He moved to Washington, D.C. in 1924, and graduated from Pennsylvania’s Lincoln College in 1929. Hughes brought out his first book of poetry, The Weary Blues, in 1926. Four years later he published Not Without Laughter, and this debut novel was awarded the Harmon Gold Medal. Over the next few decades, he would come to be known for his descriptions of the lives of black people in America, to which subject he brought fresh insight and a colorful turn of phrase. He ranged widely and wrote poems, novels, and short stories almost interchangeably. Hughes credited Walt Whitman as being one of his main literary influences, and also noted the influence of Carl Sandburg and Paul Lawrence Dunbar. He was highly engaged with the jazz scene, and he brought its style into his writing. 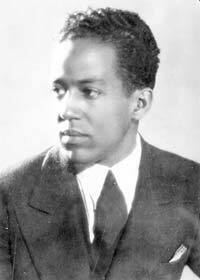 With works such as “Montage of a Dream Deferred,” he helped to shape the Harlem Renaissance of the 1920’s onward. Hughes parted company with contemporary black poets such as Countee Cullen and Claude McKay by rejecting the notion of differentiating between black America as a whole and his own experiences. He aimed to bring people’s culture into his stories, in particular laughter and music, although he also tended to emphasize their suffering in the unequal world of segregated America. Hughes suffered from prostate cancer in the last years of his life, and it was complications from this that caused his death in New York City in May, 1967. There have been a number of gestures to honor his contributions: in particular, the Harlem Street in which he lived has been named Langston Hughes Place, while the house itself has been granted the status of a landmark. Although some of his work has become less popular as it has aged, much of Hughes’ writing remains popular, such as the series of four books beginning with Simple Speaks His Mind.